To build on that strong nutritional foundation, your child needs a balanced nutritious diet fortified with all the essential vitamins and minerals. 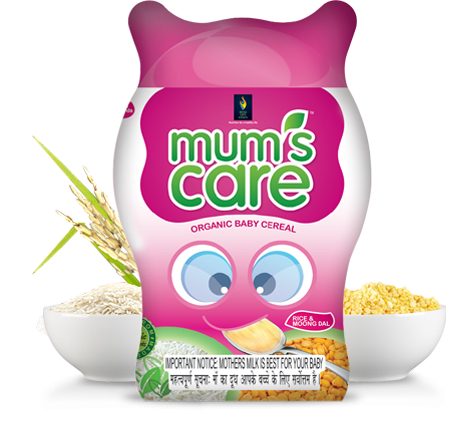 Mum's Care baby cereal is made from organically grown ingredients free from toxic chemicals and residues of pesticides. 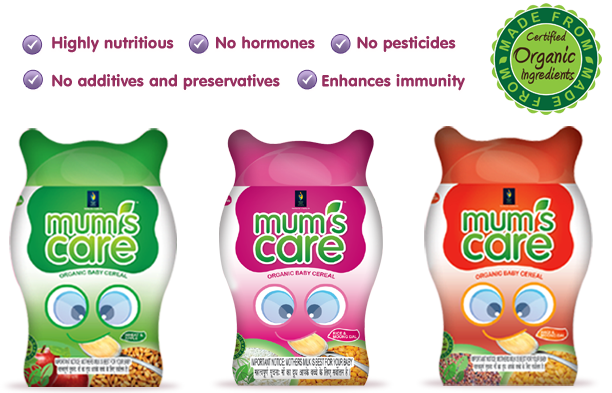 With Mum's Care choices for your baby, we aim to provide products that you can count on being safe, natural and effective. 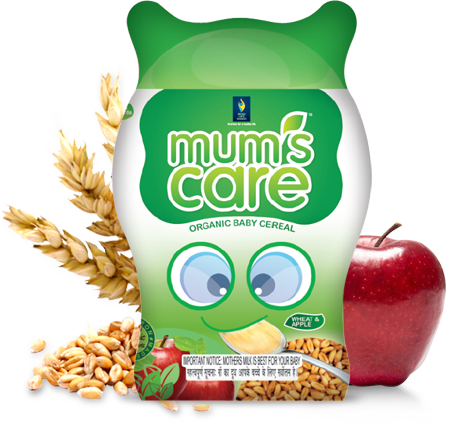 Mum's Care products are made with nothing but natural and organic ingredients, leaving out all of the unnecessary preservatives, chemicals and additives. Providing safe products for you and your baby is our top-most priority. 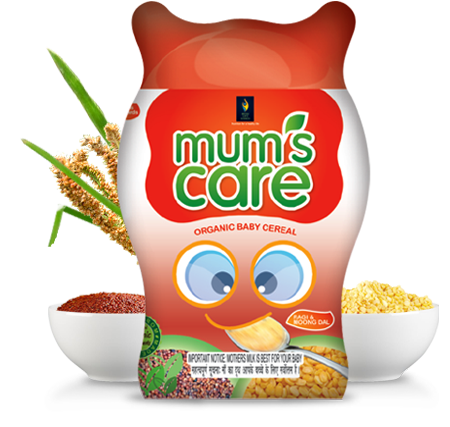 Mum's Care is so tasty that you won't be surprised if your child starts asking for more! Wheat is abundantly available in India and is one of the main staple cereals. Wheat is comprised of a good sum of carbohydrates and protein, along with nutritious amounts of B group vitamins which help in energy metabolism. Wheat also contains adequate supplies of calcium and phosphorus. Apples are common fruits available around the world. Apples contain vitamins and minerals, and have good amounts of fiber. Rice, a staple cereal in India, is rich in carbohydrates. It is often used as a major weaning food. Rice is packed with B Group Vitamins, which help in energy metabolism. Rice has adequate amounts of protein. It is soft and easily digestible. Moong Dal is abundantly used in India. It is a rich source of protein and has good amounts of Vitamin A, B, C, E and Minerals, such as calcium, iron and potassium. Moong is easily digestible and promotes growth and muscle building. Ragi is a staple cereal in Southern India. It is packed with calcium and phosphorus and is ideal during the growing years of a child. Ragi has good amounts of fiber. It also has adequate amounts of iron. Ragi is widely used as a weaning food.